Here at CafeCover we specialise in providing business insurance solutions to owners and operators of cafes throughout Australia. We love coffee, we love spending time in cafes, and we love knowing that the hard working owners of cafes are properly protected should something go wrong. We understand that you're busy, and that's why we try to make it as easy as possible for you to get the right insurance protection in place with the least amount of hassle. For more information about cafe insurance please contact us or explore our website to view the various guides we have produced. 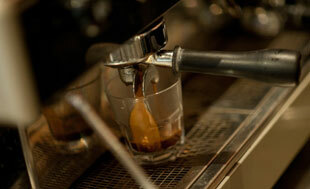 There are a number of different business insurance types that cafes should consider. For more information about each of these insurance types and exactly what they cover, please visit our guide to cafe insurance types. At CafeCover we can assist you with obtaining quotes and more information about insurance for your cafe. To get started please complete our online cafe insurance quote request form. Our system allows you to select the types of insurance you would like quotes on, as well as the amounts of cover you are interested in. If you don't know what types or amounts of insurance you need, the best option is to get in touch with us and we will put you in contact with a specialist insurance adviser who can run through it with you.